Hi, sometimes I think our embossing folders never get enough love…well, mine sure don’t. I love using them but sometimes forget to do so. I don’t know why. 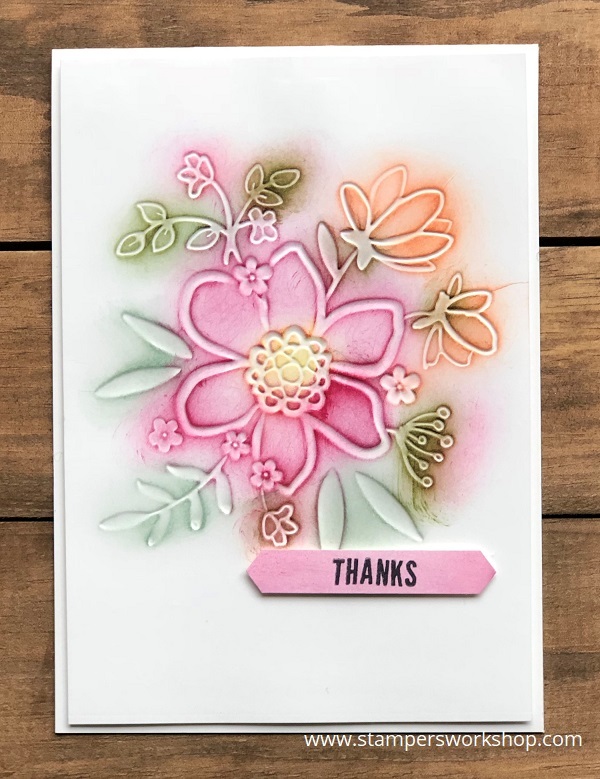 They are fabulous tools to add a little extra texture to a card. 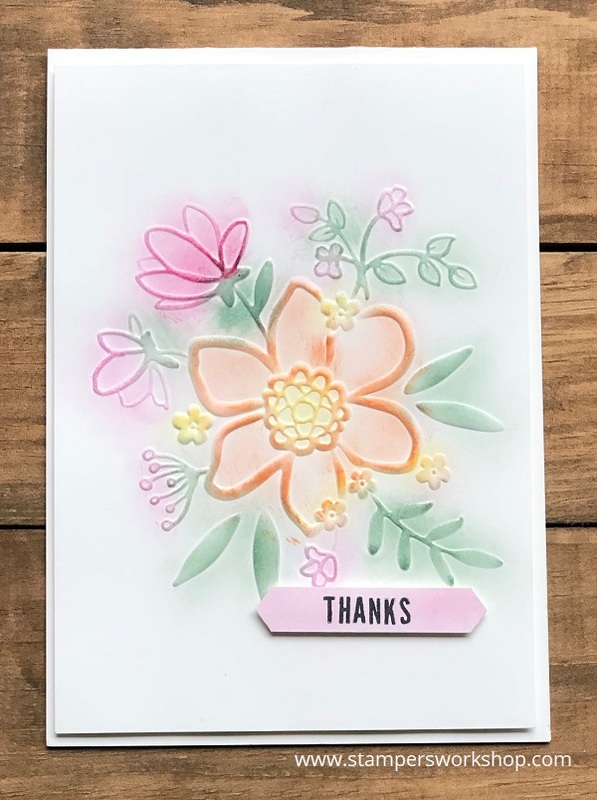 With the new “Lovely Floral Dynamic Textured Impressions Embossing Folder” (which you will be able to pre-order from May 1, 2018, or right now if you are a Demonstrator), you can not only add some gorgeous texture, you can make it a fabulous feature of a card. The first card was inspired by a card I saw on a Demonstrators Group. Unfortunately, I cannot link to the original designer because I only saw it in passing and didn’t take note of the designer. It wasn’t something I thought I was ever going to try. I’ve subsequently seen a few people try this technique. All you need is the embossing folder, cardstock and some inks. I placed a sheet of Whisper White cardstock into the embossing folder and ran it through the Big Shot. You can use either sponge daubers or the stamping sponges to add the colours to the embossed (raised) sections of the paper. You can use any colour combination you like. Now if you are a perfectionist you might struggle a little with this technique as it is a little messy and the colours can combine in ways you might really like but I hope you’ll give it a go as it really does look good when the card is finished. As I was making the first card I kept dabbing off the ink onto a scrap piece of paper which just happened to be an earlier attempt at this same card. I realised that the reverse side looked just as pretty using this technique so I had to give this a try as well. This is a technique which really surprised me by how much I like it. Have you tried colouring your embossing folders like this? I hope you’ll give it a go. It really does look so lovely.